The information related to the Platinum Delta SkyMiles® Credit Card from American Express and Delta Reserve® Credit Card from American Express has been collected by CompareCards and has not been reviewed or provided by the issuer of this card prior to publication. The Platinum Delta SkyMiles® Credit Card from American Express is targeted squarely at Delta Air Lines’ Medallion elite level flyers. It comes with the cachet and many of the perks and benefits that you’d expect from a platinum-branded American Express — but at an annual fee of $195, a bargain compared to The Platinum Card® from American Express. Frequent flyers can tap the route networks of Delta and the SkyTeam alliance of 19 other global carriers, which serve more than 1,000 destinations. The card’s ties to Delta ensure you get perks designed to make travel easier. The luxury Platinum Delta SkyMiles® Credit Card from American Express comes with myriad perks and access to 24/7 assistance. This is one of two Delta cards — the other is the Delta Reserve® Credit Card from American Express — that offers a way to earn Medallion elite status, which comes with even more travel benefits. This is a card to consider if you do most of your flying on Delta. But the miles per dollar spent on this card aren’t great, so you may want to consider another travel-branded credit card that does better in several categories, such as The Platinum Card® from American Express. Read Which Delta Air Lines Credit Card is Best for You? The limited time offer is 75,000 Bonus Miles and 5,000 Medallion® Qualification Miles after you make $3,000 in purchases on your new Card within your first 3 months. You could use the bonus miles to fly from Chicago to West Palm Beach, Fla., for a long weekend. Earn 2 miles per dollar spent on eligible purchases made directly with Delta. Earn 1 mile for every eligible dollar spent on purchases. The higher points earned on Delta-related purchases cover delta.com, Delta Vacation® packages, phone reservations, ticket counters, seat upgrades and selection, Delta Sky Club® membership or passes, pre-purchased meals and in-flight purchases of food, alcoholic beverages and audio headsets on Delta-operated flights. Miles can be redeemed for reward travel, seat and cabin upgrades, Delta Sky Club membership, a Delta Vacations® package, exclusive SkyMiles Experiences®, Delta gift cards and merchandise in the SkyMiles® Marketplace. Also use your miles for flights on the SkyTeam alliance, which includes Air France, Korean Air, Aeroflot and Saudia. With this card, you have the chance to earn 5,000 Medallion® Qualification Miles (MQMs), which are calculated based on the distance flown and your fare class. And with Miles Boost®, earn 10,000 bonus miles and 10,000 MQMs after spending $25,000 on the card in a calendar year. Earn another 10,000 bonus miles and 10,000 MQMs after spending $50,000 on the card in a calendar year. If you’re constantly on Delta flights, priority treatment while traveling is important. The Platinum Delta SkyMiles® Credit Card from American Express comes with a free checked bag for you and up to eight others traveling on the same reservation. You and up to eight companions also get priority zone 1 boarding. If you need an oasis at the airport, this card gives you a discounted rate of $29 per person to use the Delta Sky Club lounge, which comes with Wi-Fi, free food and beverages, flight assistance, business centers, conference rooms and showers, where available. You’re allowed to bring up to two guests, at $29 each. Receive a 20% in-flight discount when you use the card to buy food, beverages, and audio headsets. What’s also noteworthy is the free domestic economy class round-trip companion certificate (excluding taxes and fees) every year you renew the card. Finally, cash in miles to bid on SkyMiles Experiences, like a week-long culinary adventure in Yucatán, Mexico. Frankly, there are other travel-branded cards that offer more points per dollar spent for travel, dining, supermarkets and gas. You have to really love Delta, because you can only redeem the miles you earn for reward travel, seat upgrades, merchandise on the Shop With Miles site, and SkyMiles Experiences. You’re limited to redeeming miles for reward travel on Delta and its SkyTeam alliance partners. Unlike other American Express cards, you can’t use your miles as a statement credit on your monthly bill. Plus, SkyMiles Experiences aren’t quite as robust as American Express Experiences. Check out our article Get Special Entertainment Access with American Express Experiences. Even with the 5,000 bonus MQMs, and the Miles Boost®, you need to spend $75,000 a year for 20,000 MQMs. This card doesn’t come with all the travel protections you’d expect from an airline card — trip interruption insurance, trip and baggage delay reimbursement or travel accident insurance, for example — although you do get baggage insurance, return protection and extended warranty. Read Credit Cards With Travel Insurance. *Medallion Qualification Segments (MQSs) are earned based on the number of flights you take. Medallion Qualification Dollars (MQDs) are earned based on your annual spending on Delta and on many partner flights. Plus, access to Delta’s Sky Club airport lounges isn’t free. Delta Sky Club members may only use the lounge if they’re doing same-day ticketed air travel on Delta or its partner airlines, under a new policy that began on Jan. 1, 2019. Members no longer have access to Delta’s partner lounges. The 20% in-flight discount can’t be used for Wi-Fi access. The annual companion pass, while a nice perk, is only good in the 48 contiguous states and you will end up having to pay taxes and fees of up to $75 roundtrip. Rewards Earn 2 miles per dollar spent on eligible purchases made directly with Delta. Earn 1 mile for every eligible dollar spent on purchases. 5X Membership Rewards® points on flights booked directly with airlines or with American Express Travel and 5X Membership Rewards® points on prepaid hotels booked on amextravel.com. Welcome offer/sign-up Bonus Limited Time Offer: 75,000 Bonus Miles and 5,000 Medallion® Qualification Miles after you make $3,000 in purchases on your new Card within your first 3 months 60,000 Membership Rewards® points after you use your new Card to make $5,000 in purchases in your first 3 months. This card is a good alternative if you want a luxury American Express card that comes with higher points per dollar spent on airfare and hotels, along with some great perks. It does come with a $550 annual fee — among the highest in the luxury cards category — but this card more than makes up for that with its yearly fee credits. New cardmembers receive a welcome offer of 60,000 Membership Rewards® points after you use your new Card to make $5,000 in purchases in your first 3 months. Use the points at the Membership Rewards® website for everything from hotels to airline flights. Credits that come with the card include $200 in Uber credits; $200 to cover airline fees on the carrier of your choice; and up to $100 to cover enrollment fees for Global Entry or TSA Precheck. The Platinum Card® from American Express includes Hilton Honors gold and Marriott Bonvoy™ gold elite status. There’s also free access to airport lounges, including Delta Sky Club, Centurion® Lounge, international American Express lounges, Priority Pass Select, Airspace and Escape. Under the Fine Hotels & Resorts program, receive free benefits with an average total value of $550, such as daily breakfast for two, room upgrade when available, a property amenity valued at $100, guaranteed 4 p.m. late check-out and noon check-in when available; and free Wi-Fi. The Membership Rewards points you earn on The Platinum Card® from American Express can be transferred to 18 airline and three hotel loyalty programs. But if you transfer your points to an airline, you’ll be charged up to $99 each time. When you book airline travel on the card via Membership Rewards, there are no blackout dates or seating restrictions, and your points don’t expire. Members have access to the Platinum Card Concierge, with staff specially trained to help with services such as custom travel itineraries, restaurant reservations and tickets to sports and entertainment events. The card also comes with cell phone protection, return protection, extended warranties and free Boingo internet access at more than 1 million hotspot locations worldwide. 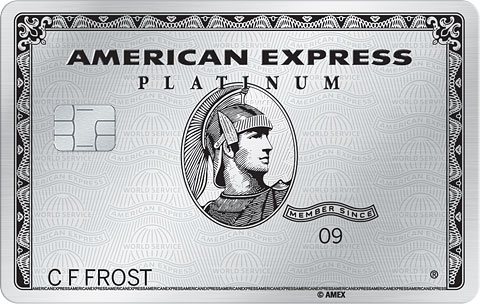 The Platinum Card® from American Express is a charge card, so the balance must be paid off every month. It also doesn’t come with travel protections like other luxury travel-branded cards do, such as baggage and travel accident insurance. 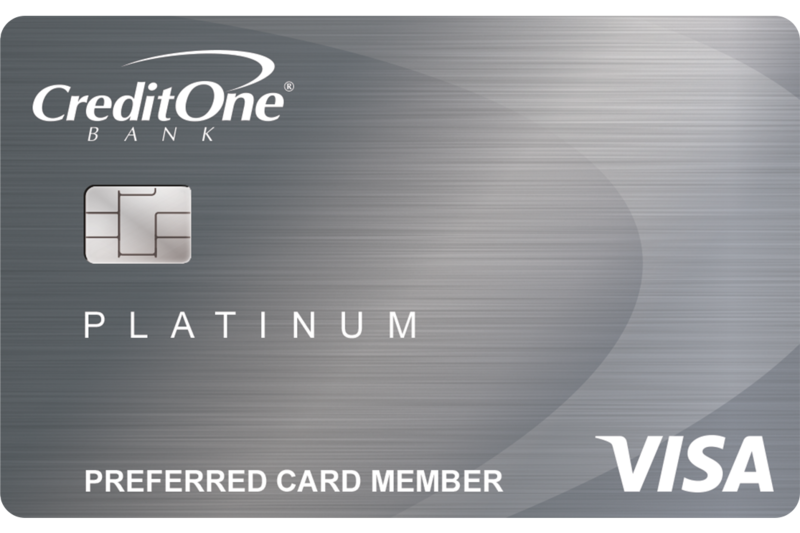 Read our review of the The Platinum Card® from American Express. Think about what you really want in a luxury card. If you want to maximize the perks and benefits that come with an Delta-branded card — a VIP airport and airline experience, higher points per dollar spent on Delta-related purchases, in-flight discounts and access to reward travel — then the Platinum Delta SkyMiles® Credit Card from American Express is the one for you. But if you aren’t loyal to one airline, want to earn more points per dollar spent on airfare and hotels, get free access to airport lounges around the world, including Delta and receive statement credits, then The Platinum Card® from American Express may be a better fit.